People ask you, and your wonder too - Do science and Scripture conflict? Are miracles possible? Is Christian experience real? Why does God allow suffering and evil? These questions need solid answers. That's what a million people have already found in this clear and reasonable response to the toughest challenges you face. This new edition, revised by Marie Little, updates the discussions of science and archeology and sharpens the answers for our world today. 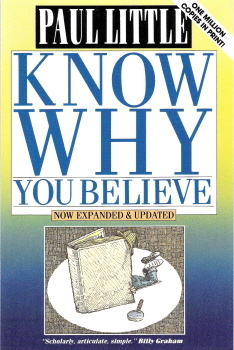 Here is the book that puts your faith on sold ground.